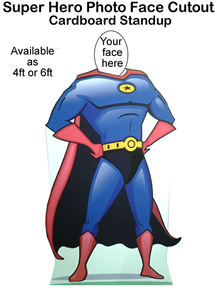 Superhero Photo Face Cutout Cardboard Standup Prop - Dino Rentos Studios, INC. 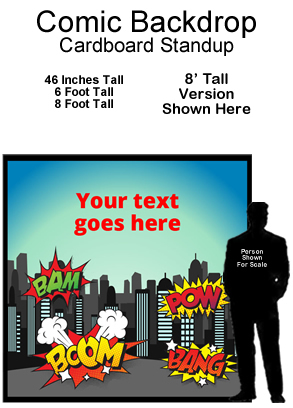 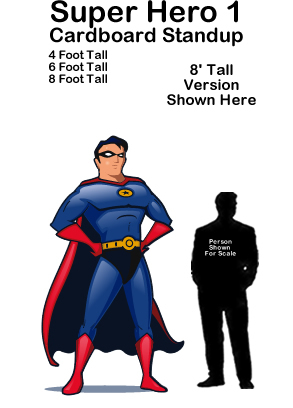 This Superhero Photo Face Cutout Cardboard Standup Prop is great for any superhero or comic book themed display or production! 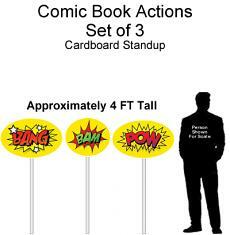 Have guests stand behind prop and put their head on the shoulders of the superhero to become the star of their own comic adventure!!! 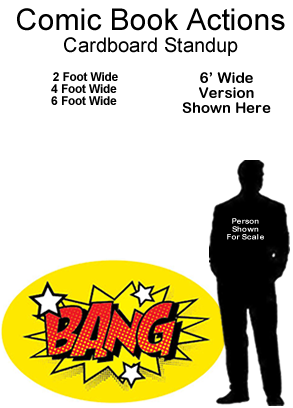 Order in 4 foot or 6 foot sizes.